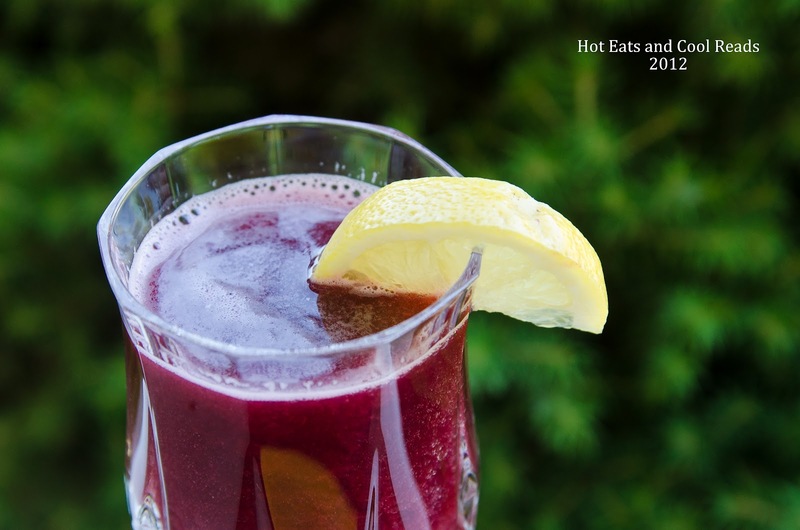 There's nothing like a refreshing glass of lemonade on a hot summer day! Today was one of those days and since I'm feeling kinda hot from being sunburned, this lemonade was the perfect treat. My niece turned 13 today and she wanted to make something special so we decided to make this very tasty lemonade. Everyone loved it, and it would be such a great addition to a party, BBQ or picnic! You can also try different berry or fruit combinations to change it up every time you make it! I would also like to say thanks to my sister Shannon who took these beautiful photos for this post! Have fun and enjoy!! 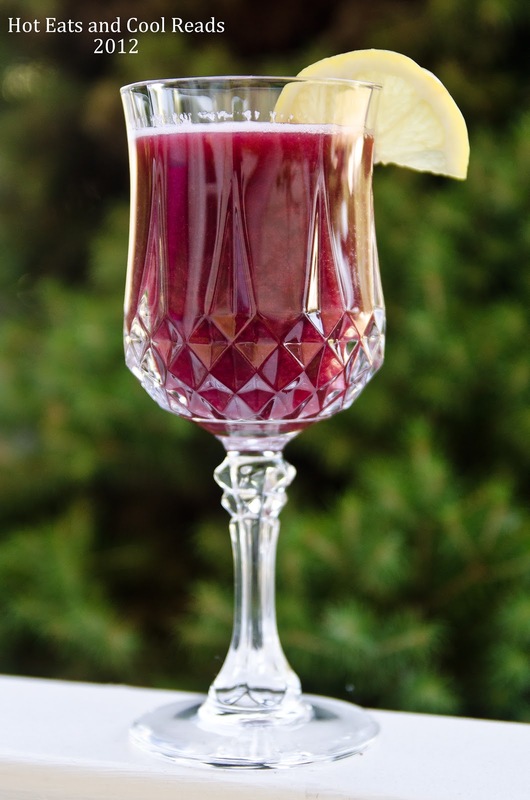 In a blender, blend berries, sugar and 1 cup of the lemonade until smooth. Press the berry mixture through a wire mesh strainer, into a large pitcher to remove the seeds. Add the remaining lemonade and lemon lime soda. Stir and serve with lemon slices. Thanks Jamie, you too!! I really love this recipe! Yum! I love sparkling juice-y drinks! Thanks for the invite! I will be over to link some up! Delicious! I love berry lemonades... and I bet the sparkling ups the pizzazz factor! Yum! The sparkle adds such a pizzazz!! Thanks for stopping by!! Thanks Michelle! It is perfect for this summer! Sheena, this is a great refreshing drink that we would love. Your recipe looks awesome! Hope you have a great week end and thank you so much for sharing with Full Plate Thursday. Thank you!! It would be a great drink to perk you back up! You will love it! Thanks for stopping! Thanks so much Kim!! Love this one! This looks refreshing! Please come back next week for Foodie Friends Friday! Thanks!! I will be back! Thanks Krista! Have a blessed week too!! MMM! This is definitely my cuppa tea...er, uh...lemonade! Looks fabulous. I am all about cool summertime drinks. This one sounds perfect for my taste buds. Thanks so much for linking up (& linking back) at Weekend Potluck. Have a great week. Hehe!! I agree!! Thanks Marsha and have a great week as well! Thank you Carole! Checking it out right now!! What a beautiful glass of lemonade! Thanks so much!! Glad you stopped by!! This looks perfect for a hot summer day! Hopping over from Mealtime Monday. Thanks so much for stopping! This is so refreshing for summer!